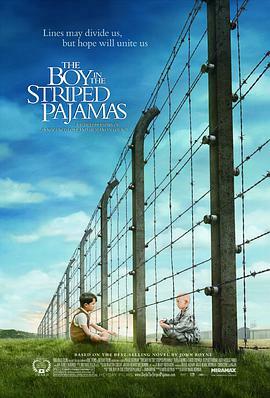 Who is the boy in the stripped pajama? It looked so pure when the boy in white shirt, shorts and socks came out. Children are sensitive to what they hear, smell and see. However, the parents tried to cover the fact and inculcate the opinion even they were divided on. Firstly, in the boy’s view, the doctor who was in stripped pajama was an unqualified doctor, peeling potatoes for practicing. These might be the reasons why the boy didn’t care about what his parents tried to tell him, or keeping away from these people. Because, in his mind, they were innocent and kind, just as the fact it was. It was great to have playmates. In the end,he slipped into the farm and became the boy in the striped pajama. To the parent, it was too late to regret at the cost of losing their child.